The Raiders are going to go with Terrelle Pryor as the teams starting QB Sunday when they take on the Colts in the season opener. Matt Flynn was at practice and threw on Monday, but head coach Dennis Allen is going to go with Pryor, even after his poor outing vs Seattle in the last preseason game last Thursday. 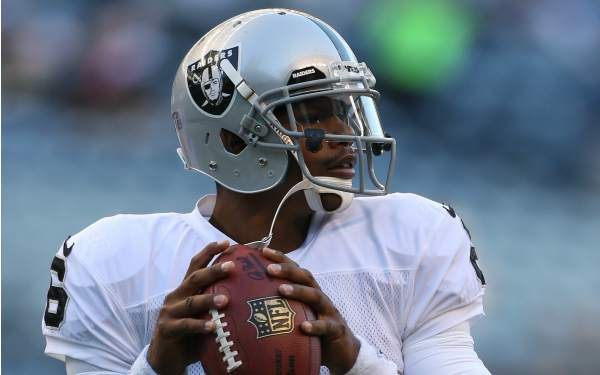 #Raiders coaches have informed players that Terrelle Pryor will start at QB on Sunday, source tells me. Amazing. (@VicTafur 1st reported). With such a porous offensive line, TP2 gives us the best chance to win. He is also the most entertaining option.